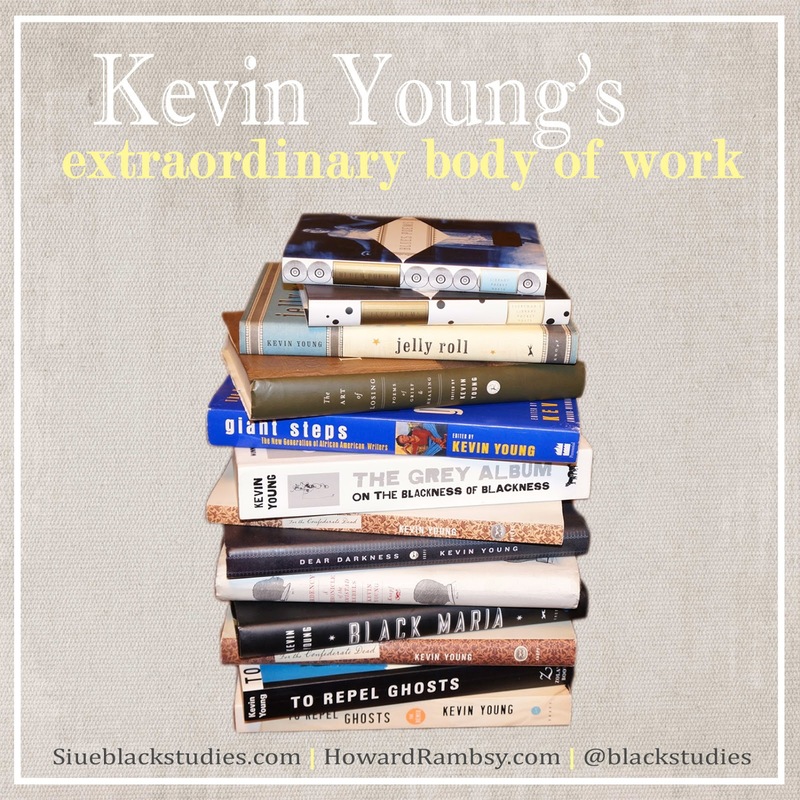 One of the rewards and challenges of studying a prolific writer like Kevin Young is that he produces so much that you have quite a bit of primary works to consider. His volumes of poetry, edited collection, and scholarly work represent a large, extraordinary body of ideas--artistic, cultural, and intellectual. Beyond his own talents to remain productive, he's received considerable support from his poetry publisher, Knopf. They often release the hardcover version of his volume in one year and then release the paperback version a year or so later. Over the last ten years, he has edited Giant Steps: The New Generation of African American Writers (2000), Blues Poems (2003), John Berryman: Select Poems (2004), Jazz Poems (2006), The Art of Losing: Poems of Grief and Healing (2010), The Best American Poetry 2011 with David Lehman (2011), and The Hungry Ear: Poems of Food and Drink (2012). Last year, he published a scholarly work, The Grey Album. For several years now, I've had a good time following Young's career, his extraordinary body of work.